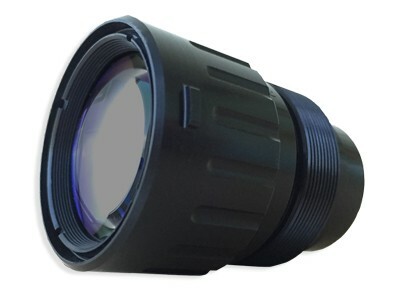 The SOLO 50 is a high performance 50mm focal length lens designed for imaging in the 0.7 µm to 1.7 µm spectral range. A fixed aperture at f/1.4 assures high throughput for the most demanding imaging applications while providing a sharp image with low distortion. The rugged, environmentally sealed design with a manual locking focus maintains steady performance when it is needed most.